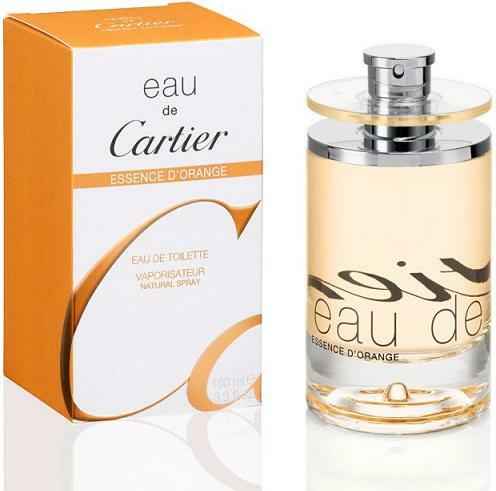 Eau de Cartier Essence d'Orange 3.3 oz / 100ml Eau De Toilette spray for men and women. A lively and sunny fragrance with agrums, which leaves a sophisticated floral trail in a heart stretching to woody notes in a base of this composition. Top notes of Eau de Cartier Essence d`Orange bring us a sparkling, luminous cocktail of oranges and bergamot. A heart encompasses sophisticated violets, while a base is enriched with patchouli along with warm and sensual cedar. Notify me when "Eau de Cartier Essence d'Orange 3.3 oz EDT for men & women" is re-stocked.